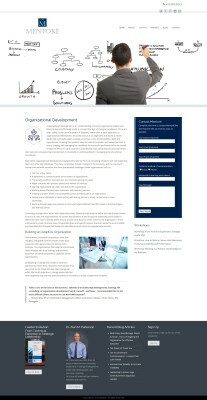 A client of EVH partner Blubird PR + Events, my work with Mentoré began as a website consultant and quickly evolved into building and managing the website, marketing strategy advisor, budget planning, designing a bookmark, email campaigns, target marketing and search engine marketing (SEM). 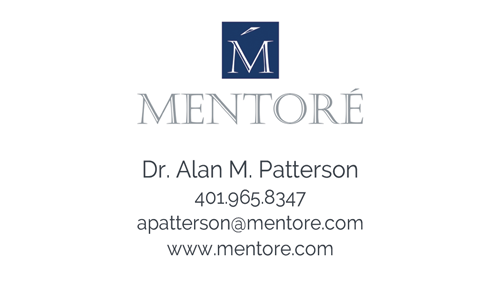 Mentoré owner and author, Dr. Alan Patterson needed to begin promoting his consulting and training services along with his offerings as a speaker and an author. 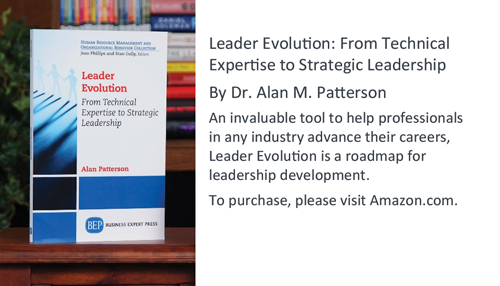 We created two versions of a bookmark that he could insert into each book that was purchased at his speaking events. 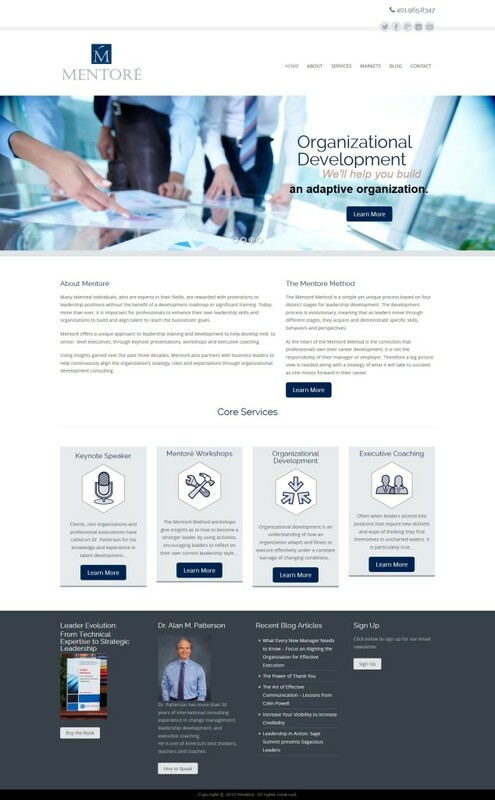 We also targeted certain geographic areas to increase the number of speaking events, and established a search engine marketing campaign to support our efforts.